Where?! You may be thinking, but hear us out… Ronda and surrounds could provide you with so much of what you’re seeking. The town has an incredibly scenic location, set amid the mountains, and its Moorish and Christian legacy mean that it has a wealth of history and culture packed into its tight narrow streets, as well as Spain’s second-oldest bull ring and a well-preserved Islamic bath-house dating back to the 13th century. There are fantastic food options in the area and the wine scene is one of the hottest in Spain right now, as the big names look to carve out some hectares in the rolling hills of Ronda. We arrange a whole variety of fabulous excursions in the area, either specialist foodie tours and/or more general visits to the Pueblos Blancos close to Ronda. 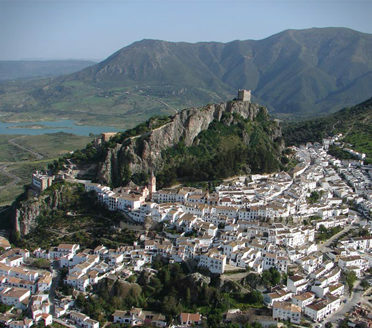 A must visit white village is Zahara de la Sierra which wraps itself around a rocky mount, with a castle on its highest point, overlooking a large lake. There are ancient and contemporary olive oil mills to visit and artisanal cheese stops with great local flavor. Ronda and the whole surrounding area is so photogenic and we love it. Besides, we advise you to take a breather from all the cities of Spain and get a feel for the Spanish countryside. For the walkers among you, this is some of the finest hiking terrain in Andalucia and indeed all of Spain… and yes, we work with great guides! Whilst Ronda has plenty of small hotels, outside of Ronda are two of our favorite properties in Spain… very different from each other but very unique in their own way. 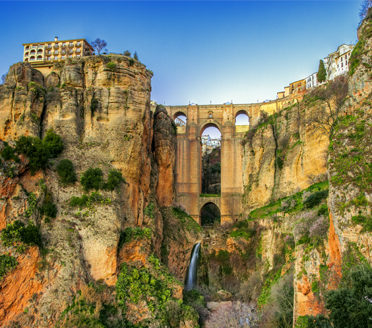 Get off the beaten path and enjoy Ronda and beyond! 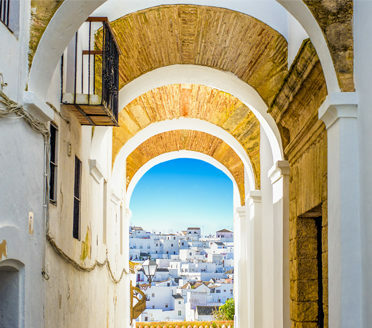 Vejer de la Frontera is the prettiest “white village” I could imagine. If I were a painter, that is where I would set up my easel. Ronda—oh my goodness, what can we say about the hotel in Ronda? My mother declared it her favorite place she has ever stayed. WONDERFUL WONDERFUL. Just perfect. We loved it. And we loved Pom [the owner] so much. We aspire to go back to visit him and stay there once again someday. Just lovely. I think if we had to pick our favorite place it would be the gorgeous scenery in and around Ronda. 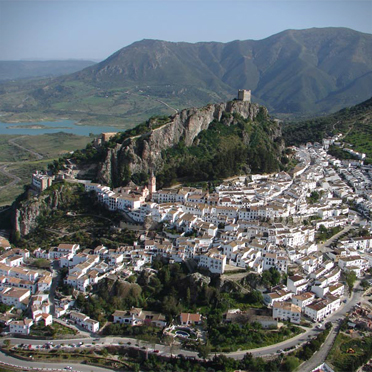 We loved the gorgeous villages of Grazalema and Zahara. We regret that we did not have time to go to Arcos de la Frontera. 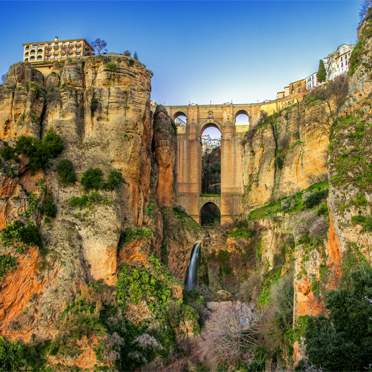 Ronda – what a gem! Hiking through the white washed villages was breathtaking. The stopover in Ronda was a fantastically nice touch and addition to the tour; the accommodation all superb; the guides and drivers very knowledgeable and professional. The ´weekend off´ in Ronda and Vejer proved to be a perfect break. 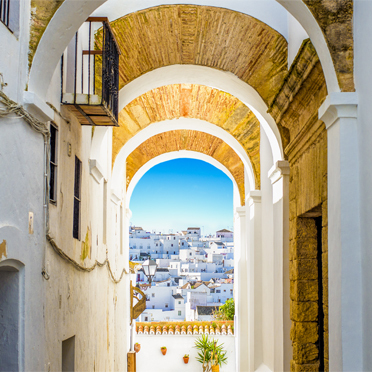 Vejer – wonderful hotel and beautiful town! The cooking class with AB was so wonderful and one of the highlights of the trip we will never forget. She was funny and endearing and smart. We learned lots of history of the area and learned how to cook great dishes. We really enjoyed the visit to Ronda, to see the Spanish countryside which was breathtaking!